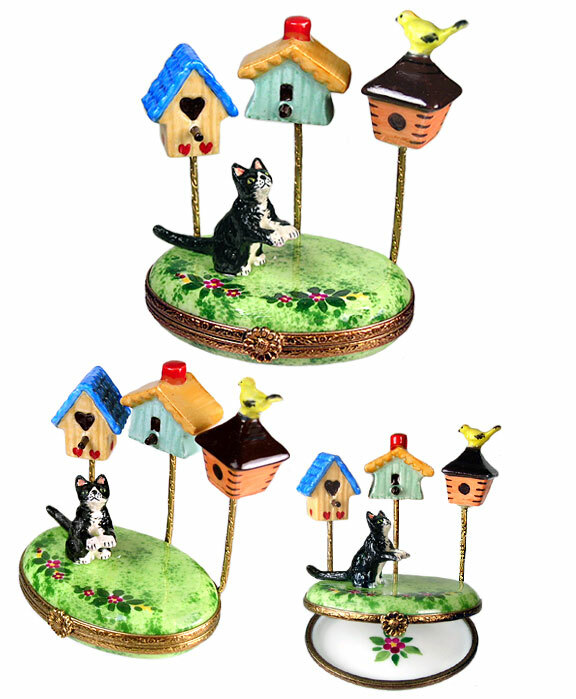 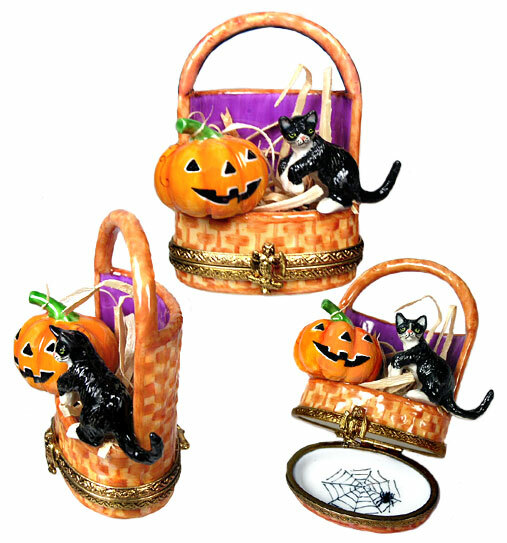 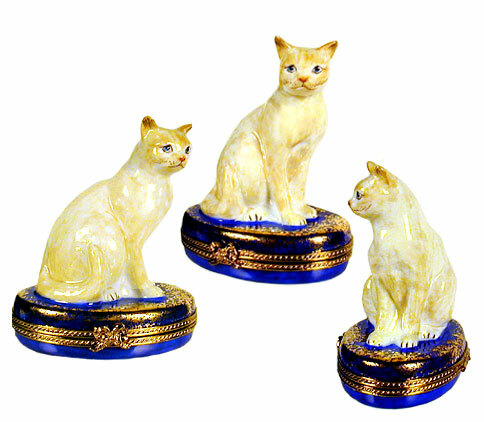 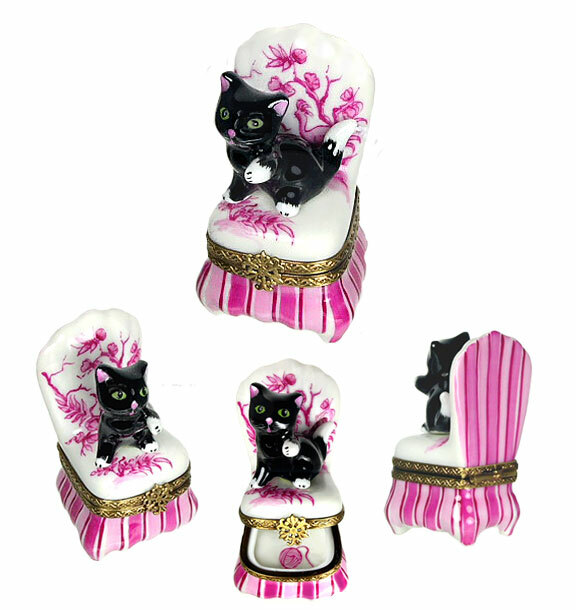 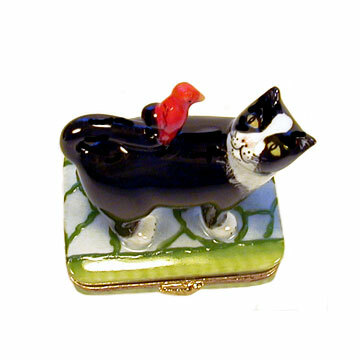 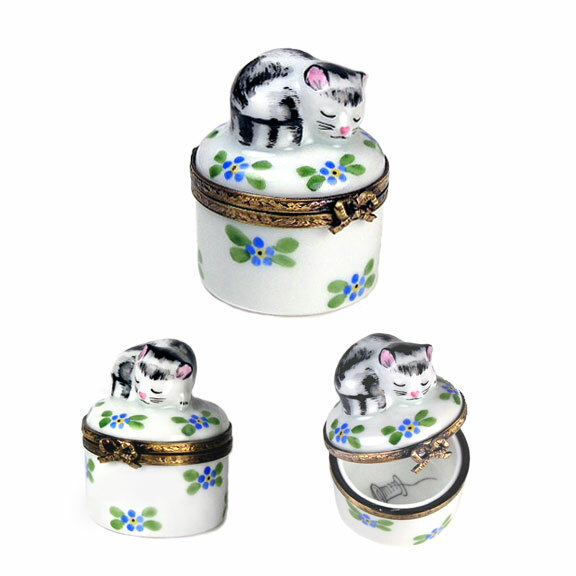 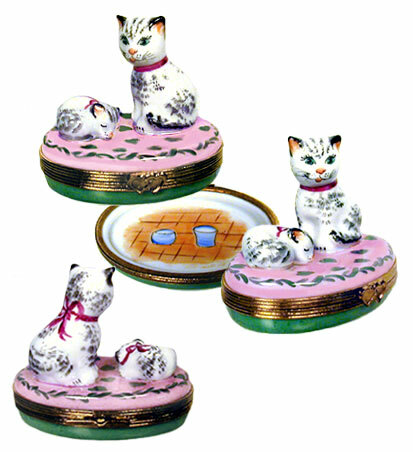 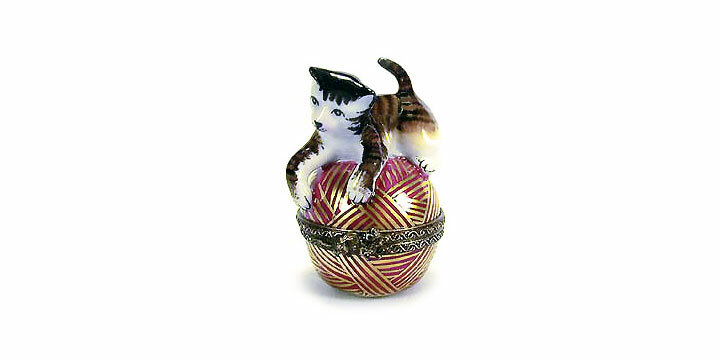 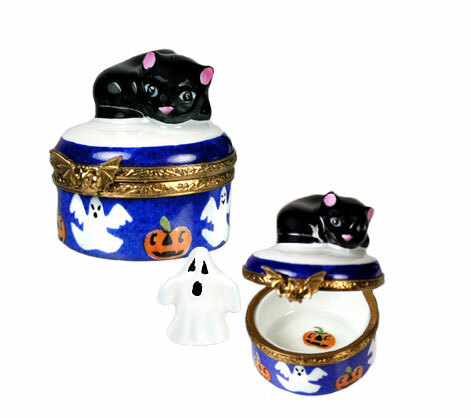 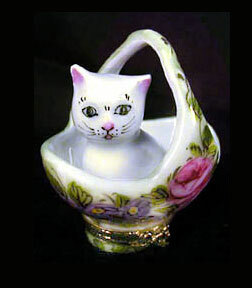 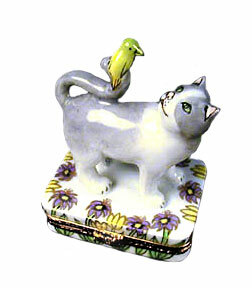 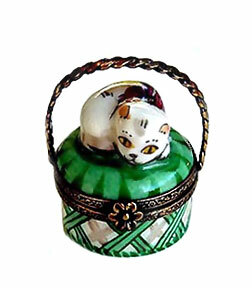 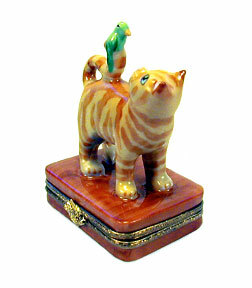 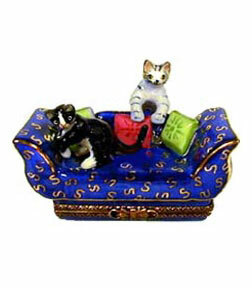 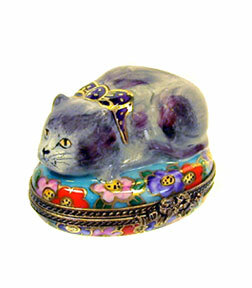 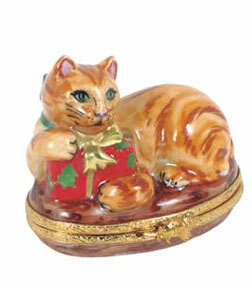 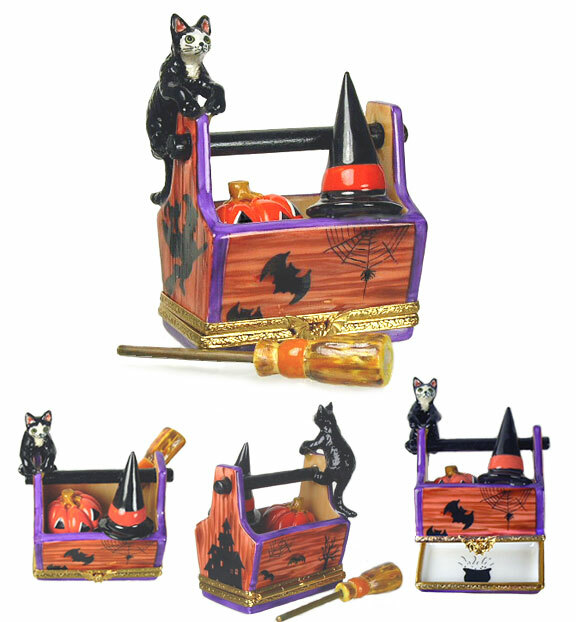 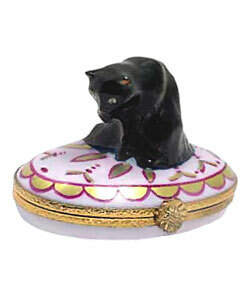 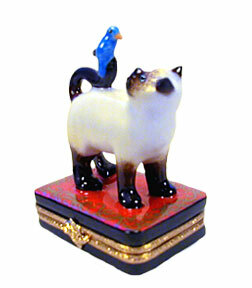 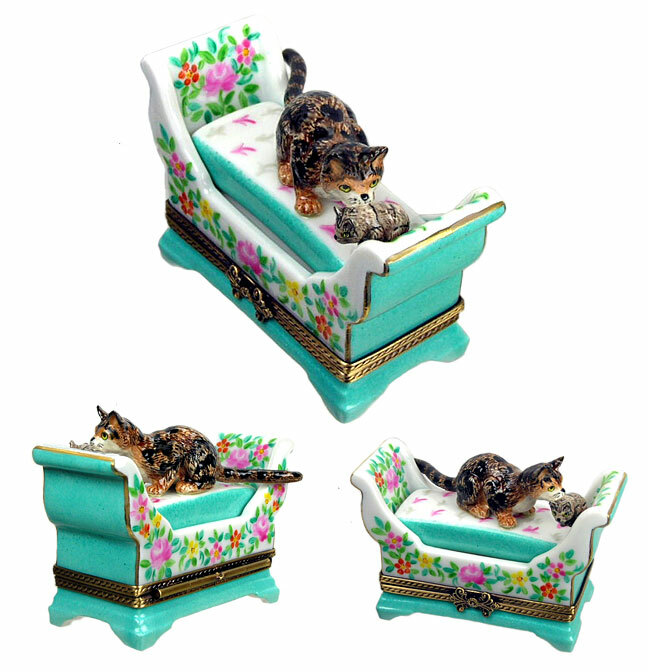 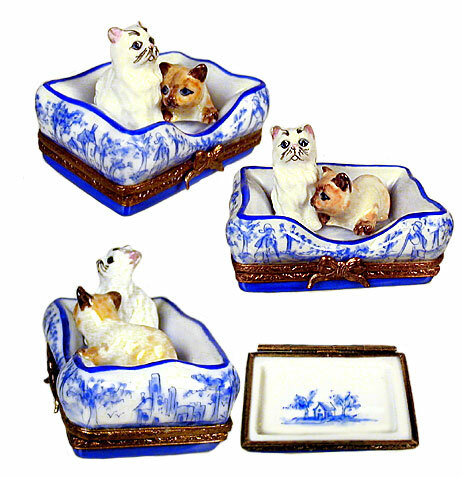 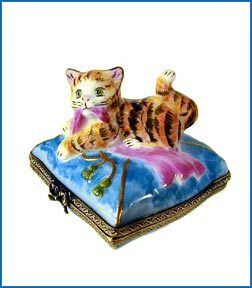 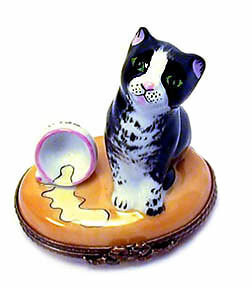 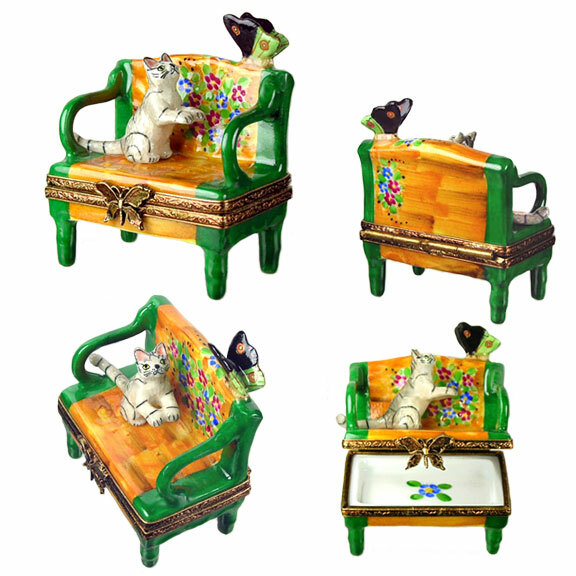 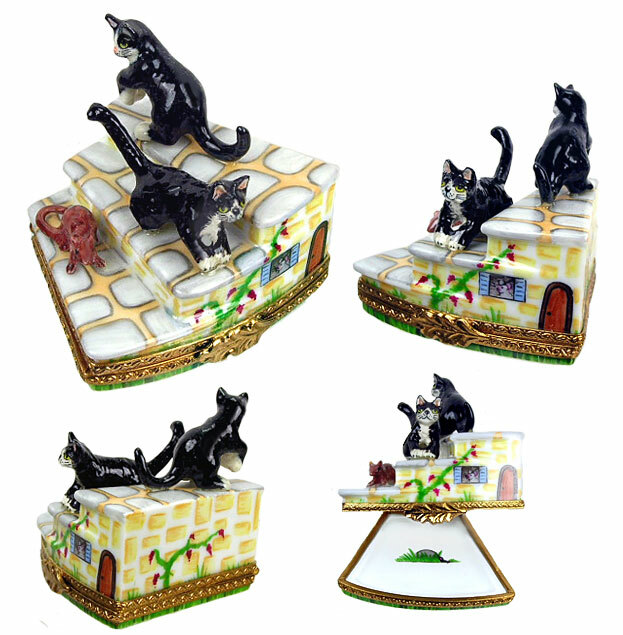 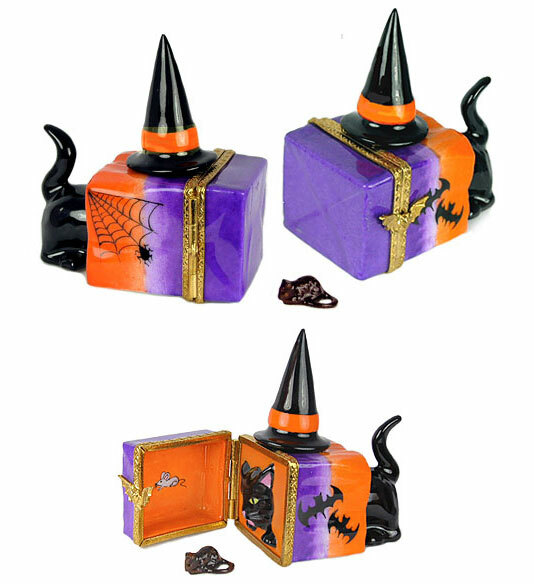 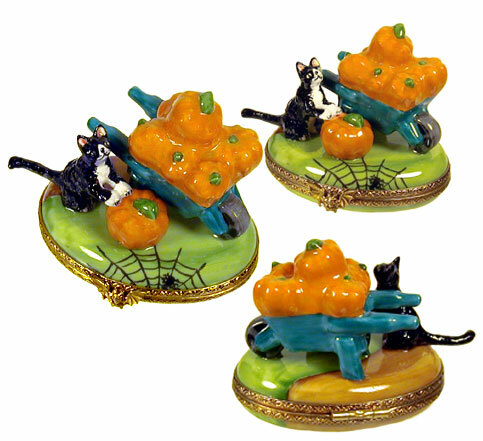 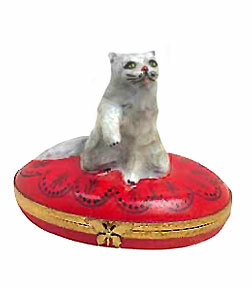 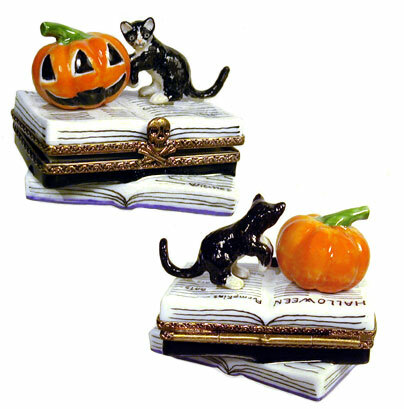 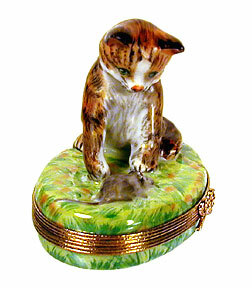 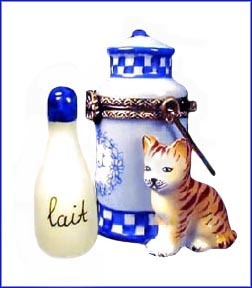 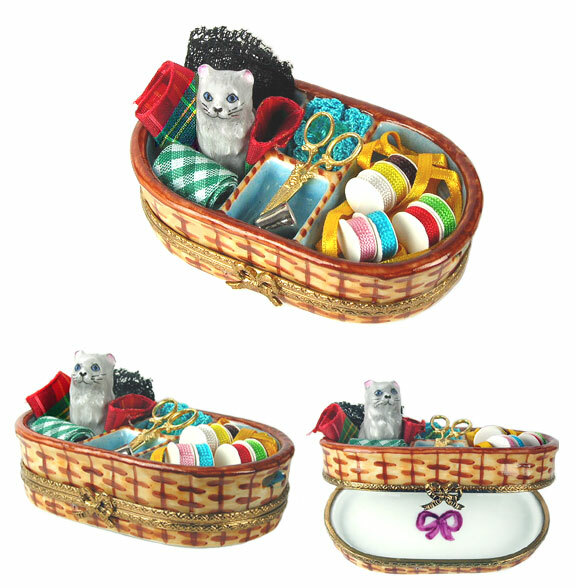 Our Limoges box cats and kittens are simply the cat's Meow! 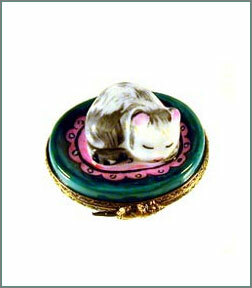 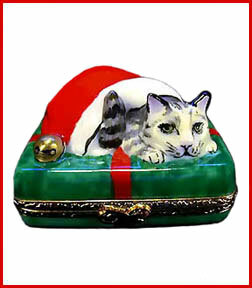 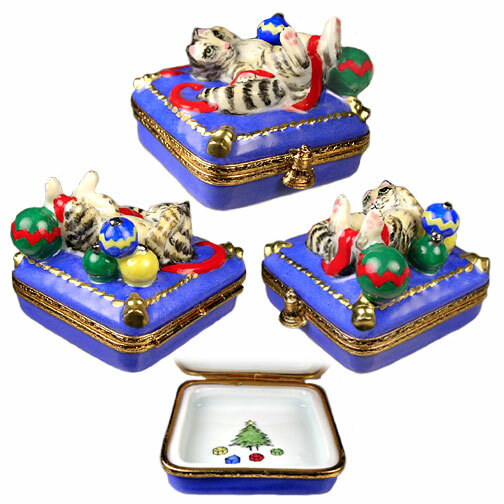 Still more Purr-fectly delightful, exquisitely hand painted Limoges boxes are here to charm you! 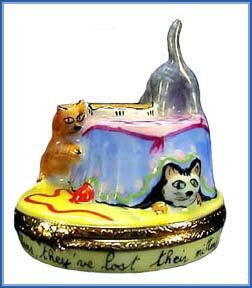 Our original Cat and Kitten page grew so much that the little darlings were getting a bit frisky! 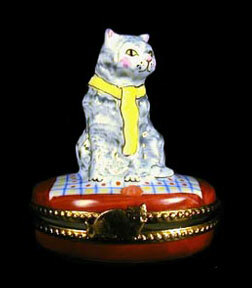 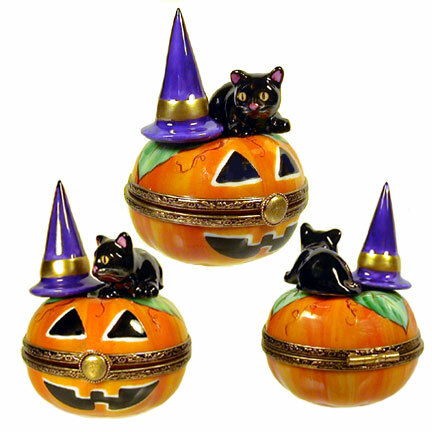 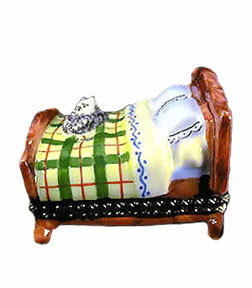 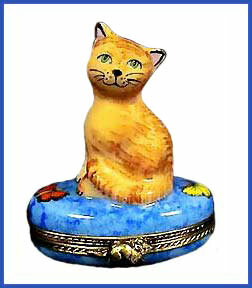 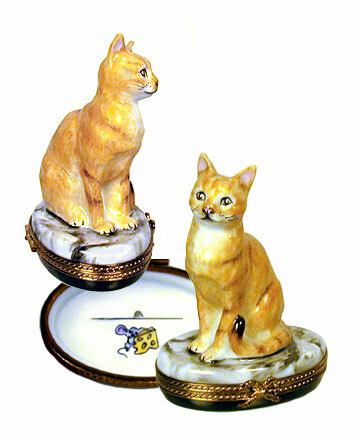 Be sure to also check our original Cats Limoges boxes. 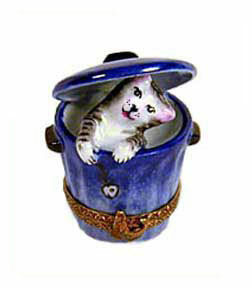 If you have a favorite kitty, or just love cats you're sure to find one that says "Take me home!"